Some 4 miles along the Trent & Mersey from the jct. with the Caldon canal you come to Harecastle Tunnel. 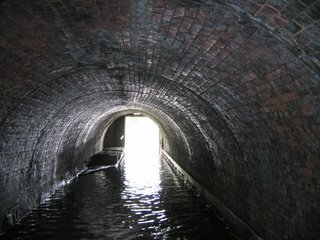 This tunnel is almost 2 miles long and is not as wide as other tunnels on the canal system and so it`s controlled by a tunnel keeper at each end. A maximum of 8 boats are allowed through north and the same can then go south once they emerge. 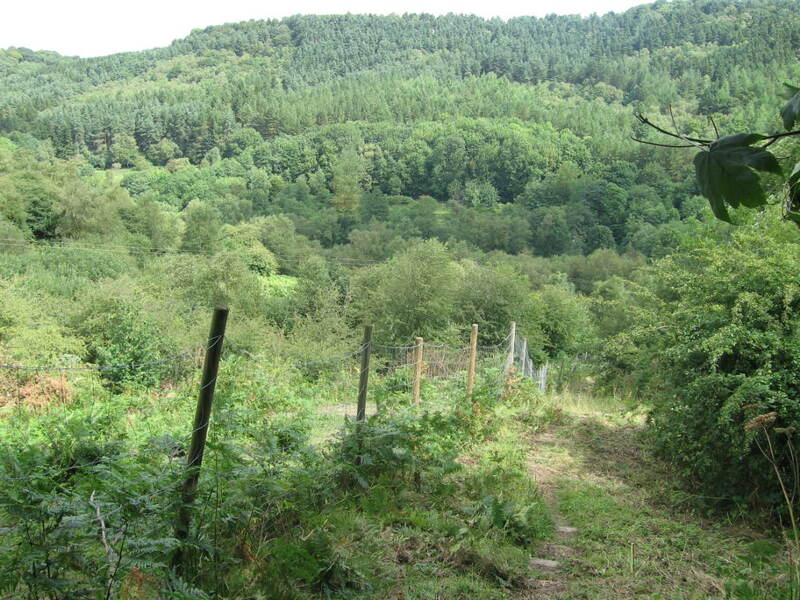 The water colour in this area for some distance both sides of the tunnel is caused by the ironstone mineworkings that are present all over the hill above the tunnel. 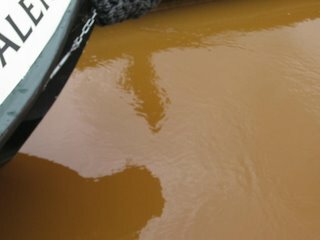 The drainage from these mines causes the brown soupy colour. 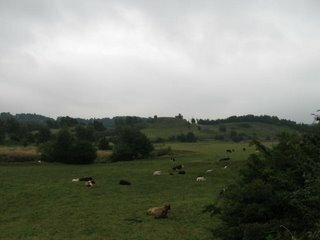 There are actually 3 tunnels through the hill. The first was finished in 1777 . A second was built, to help speed boats through the tunnel as all the boats had to be legged through while the horses were walked over the hill, this was finished in 1827. The 3rd tunnel was some 40` above the canal tunnels and was for a railway line. Now Following the closure of the original tunnel through subsidence and the re-routing of the railway only one tunnel is useable. After exiting the tunnel the branch to the Macclesfield canal leaves to the left and as the Trent and Mersey drops down through 2 locks the Macclesfield canal crosses over the top of us. Just like a road flyover. 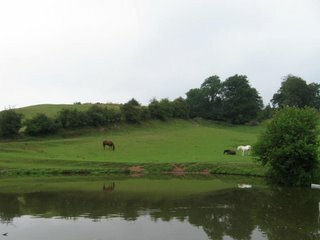 This area is Kidsgrove and there is a large Tesco 5 mins walk from the canal so an overnight stop followed by breakfast and seriouse re - stocking at Tesco was captains orders. OK so i am the captain, to tell the crew i just look in the mirror. 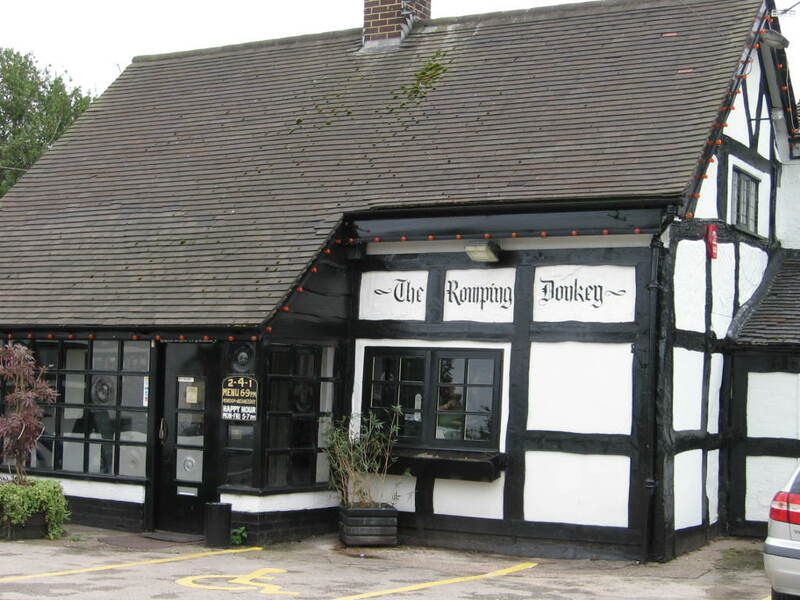 About 4 miles on is Hassall Green and a 17c pub called the Romping Donkey, i did ask but no one knew why. What i can tell you is they do a fab sunday roast, carvery style and a few pints after who wants to move after that so an o`night stop is order of the day. 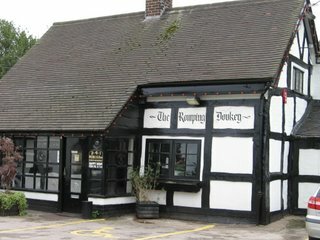 The Romping Donkey, Fantastic sunday roast. 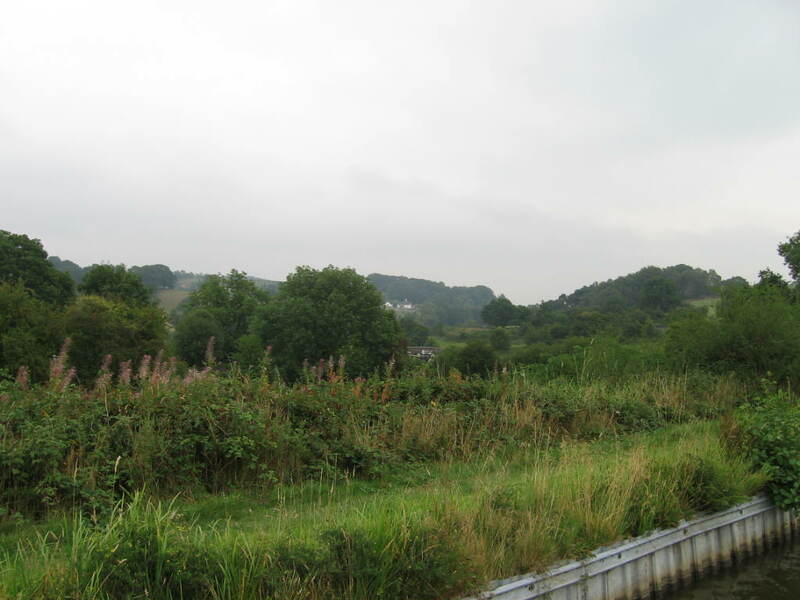 Just as i make my way back onto the trent & Mersey to carry on my journey North West to Anderton i will leave you with some of the views on the Caldon. 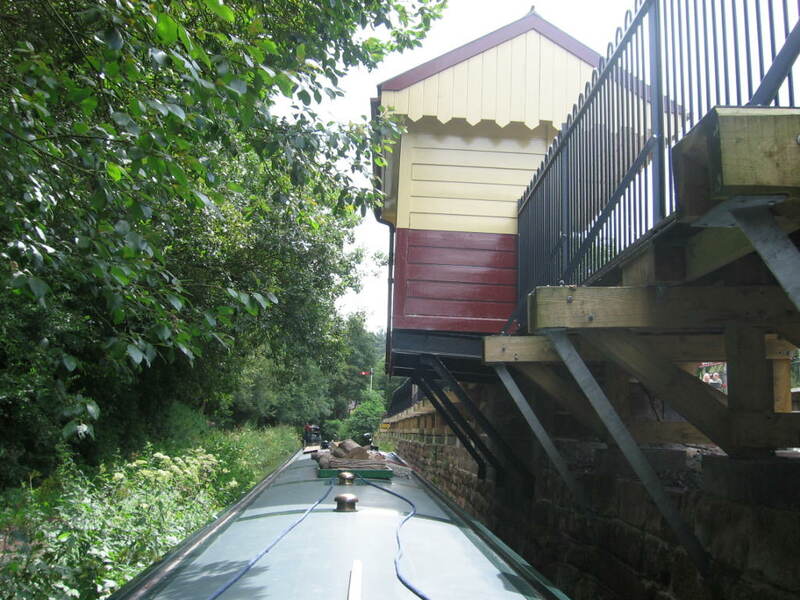 The Caldon canal a branch of the Trent & Merseywas opened in 1779 to transport limestone from the quarries Froghall. 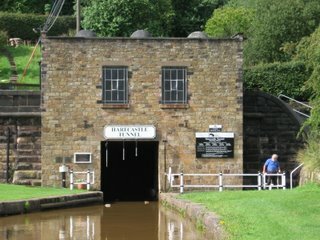 The canal was owned from the 1840`s by the North Staffordshire Railway as was the railway to Macclesfield but by 1988 under British Rail the last stretch of line closed. 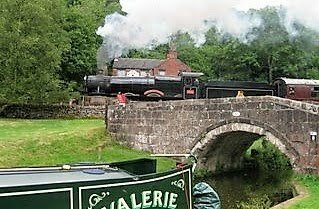 By 1996 a group of railway enthusiasts had started running a steam hauled passenger service between Cheddleton & Froghall, a return journey of some 10 miles. Now as it`s my mate Bills birthday and like me he is a steam train buff we will have a few extra pics, and also Kevin must be looking in. DMRC rules. 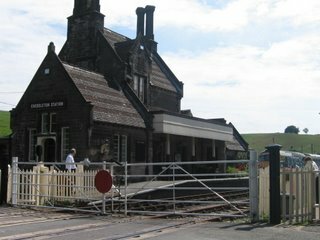 Steam trains only run on a Wednesday and all w`end. This diesel unit runs at all other times. 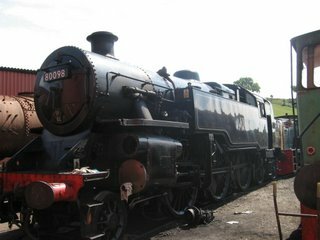 This is a loco inside the shed area udergoing repair. This is Cheddleton stn. 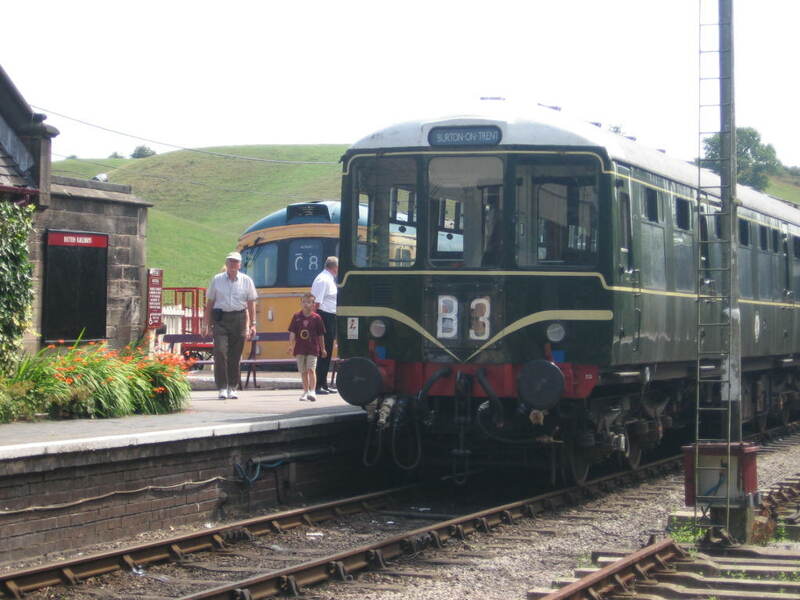 headquaters of the Churnet Valley Railway and the site of the engine shed and carriage & wagon sidings. A steam hauled passenger train having just left Consall stn. 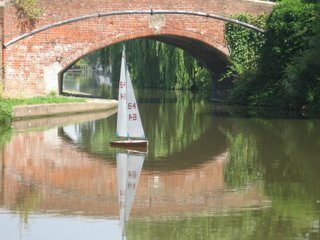 has crossed the canal and is passing the Black Lion pub and that`s my boat NB VALERIE in the picture as well. 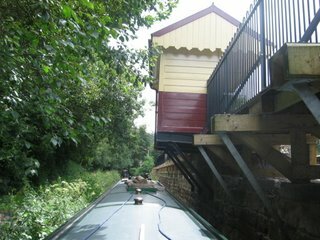 This shows the narrowness of the canal as i pass under the overhanging platform and more so the waiting room of Consall Station. 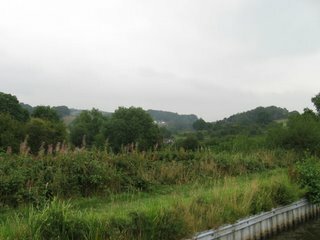 Up here on the Leek arm of the Caldon canal British Waterways have erected signs warning of Blue/Green Algae. 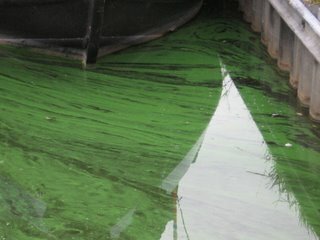 The algae naturally occurs in still freshwater like canals and in hot weather can rapidly spread. 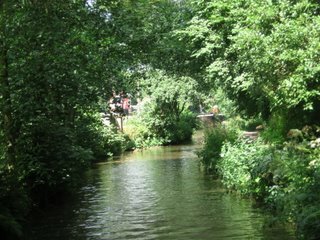 The morning after the signs went up along the towpath i awoke to find the canal covered in a carpet of green. 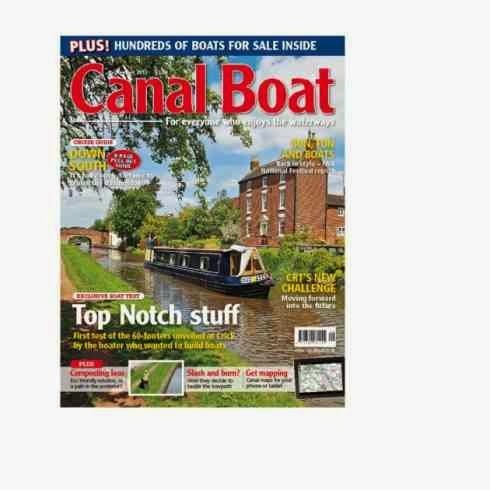 Contact with affected water can cause allergic reactions, itchy eyes and skin irritation and the advice is to avoid contact if possible and wash hands well if you should get your hands wet from mooring ropes for instance. Also keep dogs out of the water. The algae will disappear as the weather cools. More info can be found on BW website. 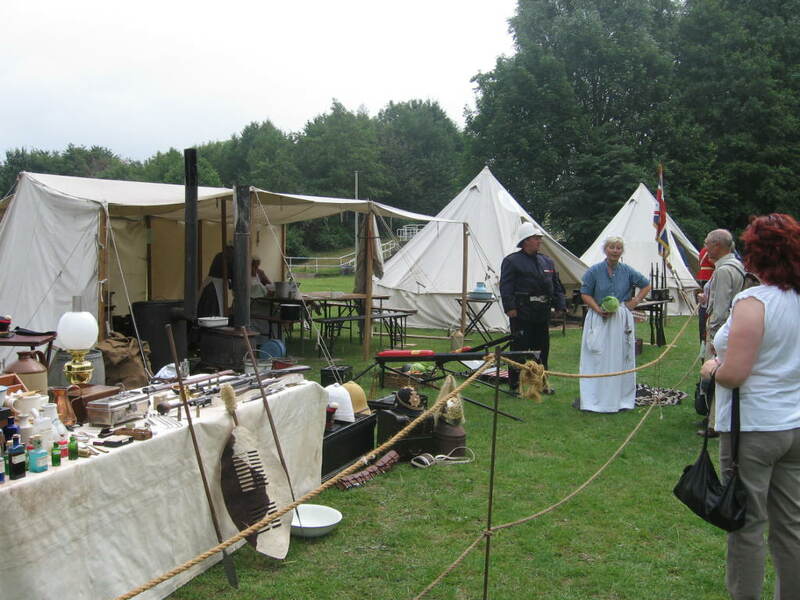 On a field at the side of the canal jct, the members of the North Staffordshire Victorian Military History & Research Society had set up a victorian camp as the Staffordshire 80th foot regiment. 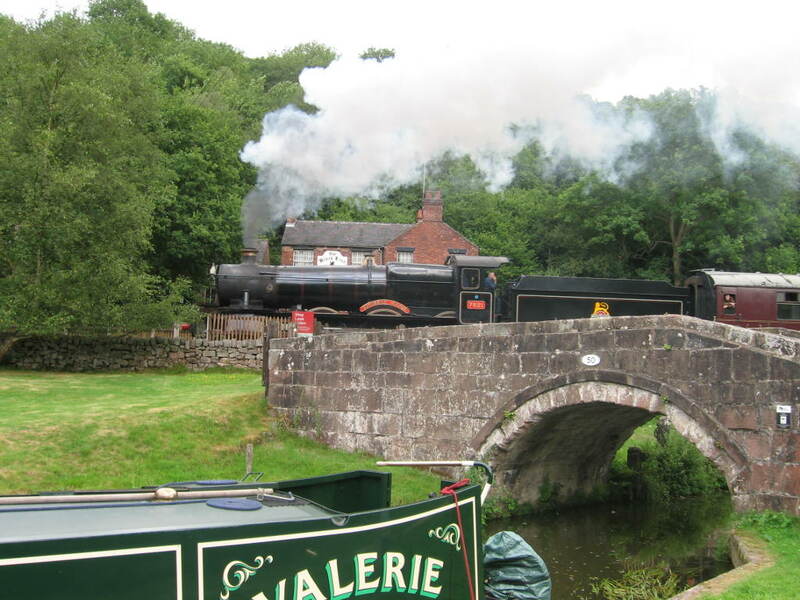 They were camped all weekend in conjunction with the museum free admission and the mill engine in steam. 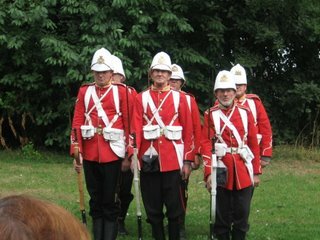 They performed various drills and gave a firing display. 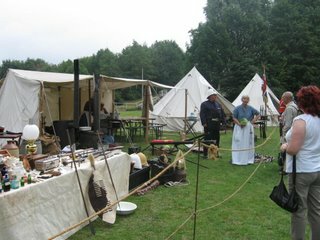 Also the units armourer gave talks on the many weapons on display as did the women folk on the cooking facilities in camp. All taking part wore dress of the period. 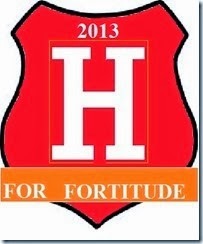 At the jct. 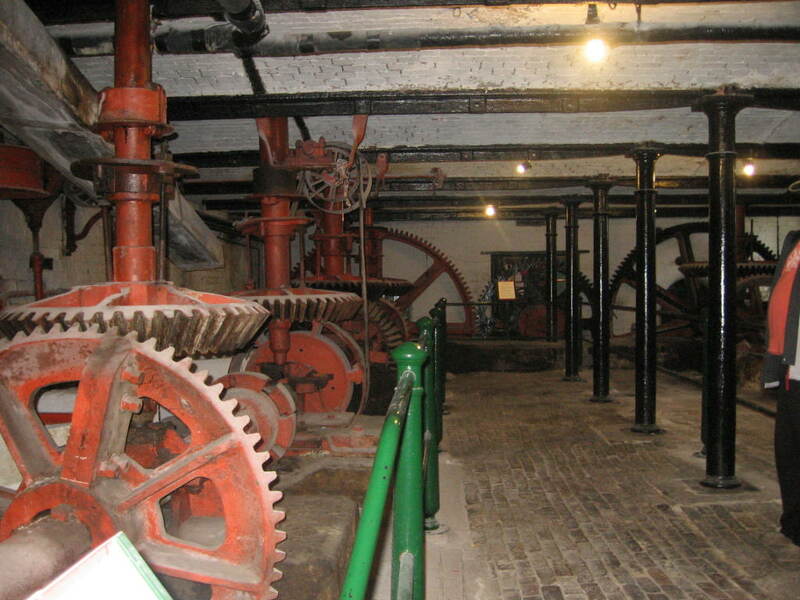 of the Trent & Mersey and Caldon Canal the Eturia Industrial Museum has been established. The museum also includes access to the steam powered bone & flint mill situated at the rear since 1857. 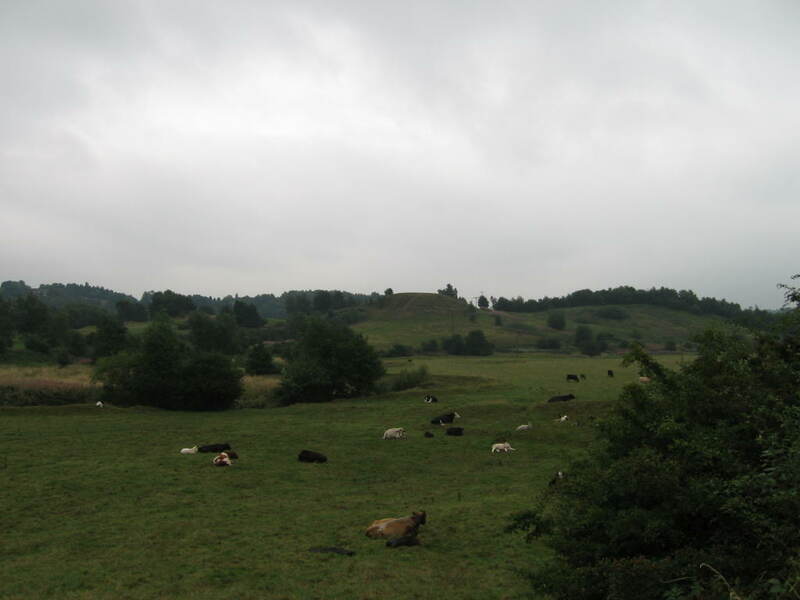 The mill ground bone, flint,stone for the pottery industry. On the way up to the Caldon i stopped off at the Wedgewood pottery factory. On site was a visitor centre/museum and the visit included acess around the factory to see how pottery of all types was made. In fact so close to people on production that questions could be asked, although most of the questions were answered on the handsets issued at the entry point and requiring only a number at each location to be entered and a commentary could be heard. It was here that i learned that bone china actually contained a high bone content. I have not in the past given a thought to the china in the kitchen. Learning all the time. Wonderful. 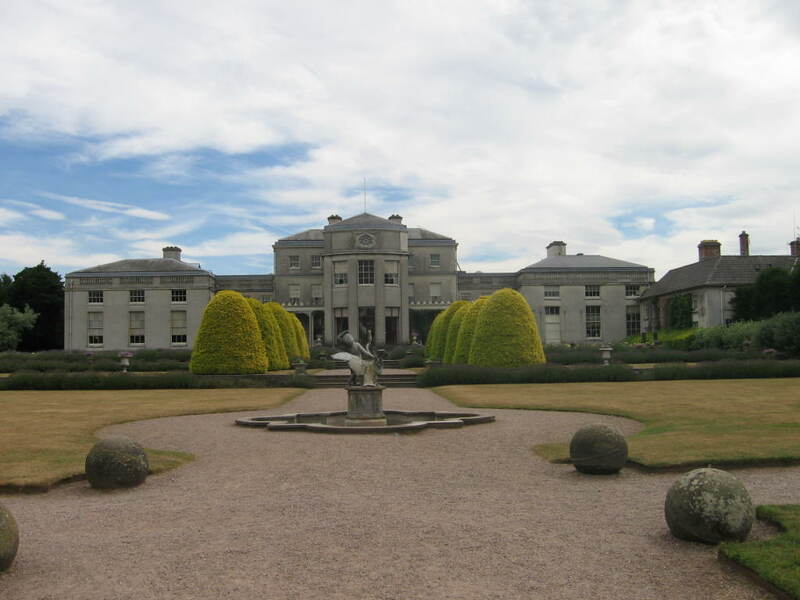 Shugborough Hall in Staffordshire is just south of the Great Haywood Jct, where the Staffordshire & Worcestershire canal joins the Trent & Mersey. 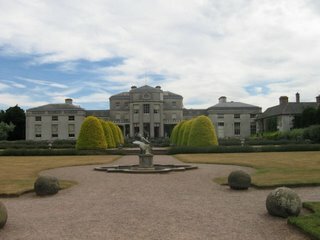 Following crippling death duties it went from the Earl of Litchfields family home to the the National Trust who have leased the whole estate to Staffordshire county council. The picture above shows the main house and like others i have seen i found it boring. 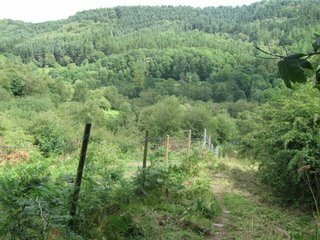 BUT the difference here at Shug` hall is that the council have used all the other parts of the estate as a museum of country life. The stables contain a collection of horse drawn carriages, servants quarters, the kitchens and storerooms and so much more. The farm sited away from the house and reached by a ride on the road train contains a working mill, a museum of agriculture, butter and cheese making demos plus lots of how it used to be exhibits. Just next to the farm lies the Walled Garden which used to supply the whole estate with fruit & veg. It is being re-planted with the same produce that grew here 200 yrs ago. part of the surrounding wall has cavitys where fires would be lit and the heat would spread along the wall and the warmth would help speed the growth of certain fruits. one side of the garden contains the head gardners house and some very small accomadation for garden workers, these now used as demo units for woodworking, leather work and other old country skills. Yep as stately homes go this one is tops. Well done Staffs council. If you boat this way it`s worth a stop. Check out the bridge his lordship had built so he could get to church. The one over the canal is still there and if you go across the river you can find signs of the river bridge long gone. The history both on and near the canal system is huge, if you just ask and look around as you travel, life can become a second education. This is the 5th ballon in the past 7 days. 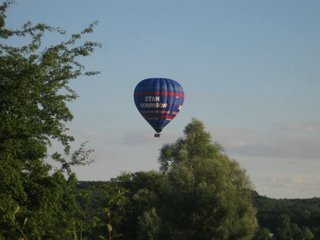 Remote controlled, no motor just the very slight breeze.